Do you watch the Biggest Loser? If you caught last night's episode, you'll be excited to enter the giveaway I have for you tonight! Trainer Dolvett Quince suggested Peanut Butter Cookie and Cherry Pie LÄRABARs as great go-to snacks before the contestants embarked on a hike. I know I personally love to keep LÄRABARs in my purse, gym bag and in my snack drawer at work. 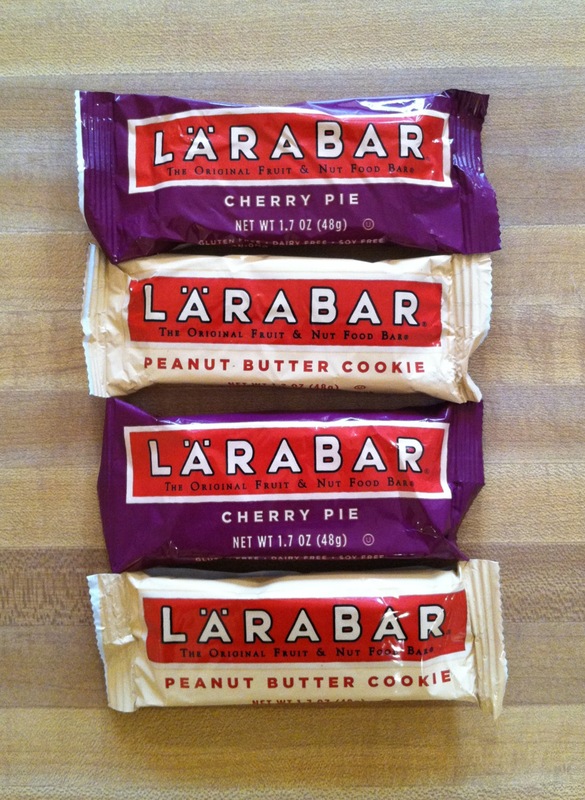 The kind folks at LÄRABAR have offered a chance for one of my wonderful readers to win 2 Cherry Pie and 2 Peanut Butter Cookie bars! -Leave a comment with your favorite flavor of LÄRABAR or if you have never tried them, say that and share your favorite bar, whether it's homemade or store bought. -Follow me on twitter. If you already follow me, comment saying that you do. -Tweet about the giveaway and link to your tweet. You can enter until Sunday, March 11 at 5 p.m. Central time. I'll pick the winner then and share it in my Sunday post. Good luck! Oh, and I follow you on Twitter! I love the Blueberry Muffin Larabar! I've only ever tried the coconut cream pie, and I really liked it! Love Larabars! My favorite flavor is Chocolate Chip Cookie Dough, hands down. 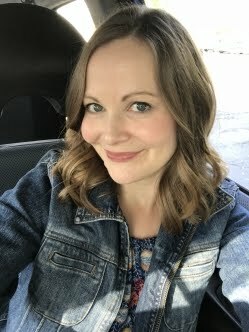 i didn't watch the most recent episode yet (it's waiting for me on my dvr! ), but my favorite larabar is the peanut butter cookie. cashew cookie is a close second! My favorite is cherry pie, it tastes just like the real thning. Larabars are the best! Chocolate chip cookie dough is my favorite! I've never had a LaraBar, but I am really liking mini Luna bars lately! I've never tried. I love the Lemon Zest Luna bars. I just found your blog.. I love your pictures (cats and food, duh). My favorite Lara flavor is blueberry muffin. I've only ever tried cashew cookie and blueberry muffin. I need to try cherry pie, yum!